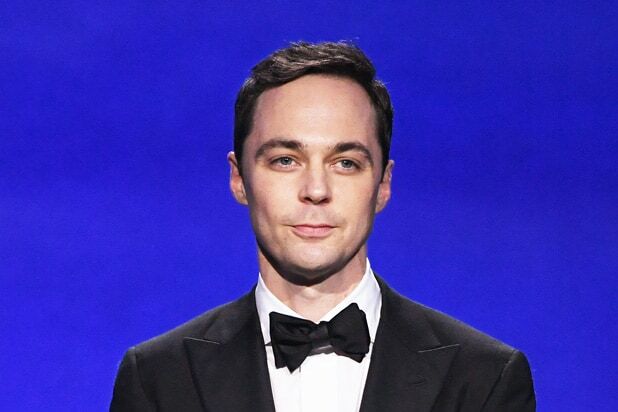 Go ahead and jump, Jim Parsons; it’s (almost) your birthday. “Big Bang Theory” star Parsons, despite all youthful appearances, turns 46 on March 24, and his co-star Mayim Bialik got the jump on sending him birthday well-wishes via an Instagram post on Wednesday. Turns out, it looks like Parsons got a pretty good jump in himself. “Happy early birthday for the last time working with the man I was told to imitate for an audition 10 years ago which changed my life,” Bialik wrote. “Jim you are so much fun to work with and be friends with. Your success inspires me so much as does your heart the size of Texas,” she continued. The actress included two photos of the birthday-boy-to-be in her tribute. One captured Parsons with his arms outstretched, perhaps in song, as his colleagues on-set looked on. The second photo, meanwhile, captured Parsons in mid-air, his feet far above the ground, as his colleagues appeared to practice their clapping skills. See Bialik’s pre-birthday tribute to Parsons below. Happy early birthday for the last time working with the man I was told to imitate for an audition 10 years ago which changed my life. Jim you are so much fun to work with and be friends with. Your success inspires me so much as does your heart the size of Texas ❤️??????????????????? ?